sourcing mold builders in china . Here we write some tips of for finding or sourcing the right mold maker , These tips we found on QUORA. As we all know, plastic injection molds have usually very high requirements,, regarding their high tech manufacturing and craft level, such as high quality steel and tolerances for fitting tool parts . Also all most all ordered moulds are customized by clients, This means no mold is the same, and thus made by the toolmaker, based on an unique design of the customer. 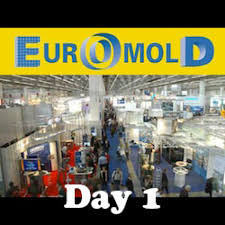 So the best way to source a good mold maker is to visit in Exhibition, Such as K-Show, EuroMold Show, and so on, by doing so, you can verify the level of quality control more clearly, and contact directly with the manufacturers. Every year, there are many Chinese Mold Makers that have a booth on these fairs . But for some Chinese SMEs Mold Maker, B2B platform and Google are the common way to marketing themselves. Such as Alibaba, MFG, MadeInChina, GlobalResource, etc. So it is up to your budget for the project. If there is any question we can help you, please can you feel free to contact me .